Growing up in the Real Estate world has had its influence. My dad was a custom home builder and my mom a Real Estate Broker. At age 12, I fell in love with a one and a half story home my dad named "The Aspen". Since then, I have been infatuated with real estate. I enjoy touring homes and creating ways to transform them into a market ready "must haves". This love for home sales has grown into a successful real estate business. I am a client-centered professional who is not just looking for a one time sale, but provide a lifetime service relationship. My service does not end at the closing table. 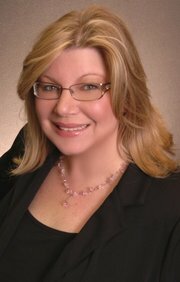 I am geared to guide you through any residential or commercial transaction.